You can Show categories or hide them. Note that these changes only effect your embedded portfolio, not your full portfolio. 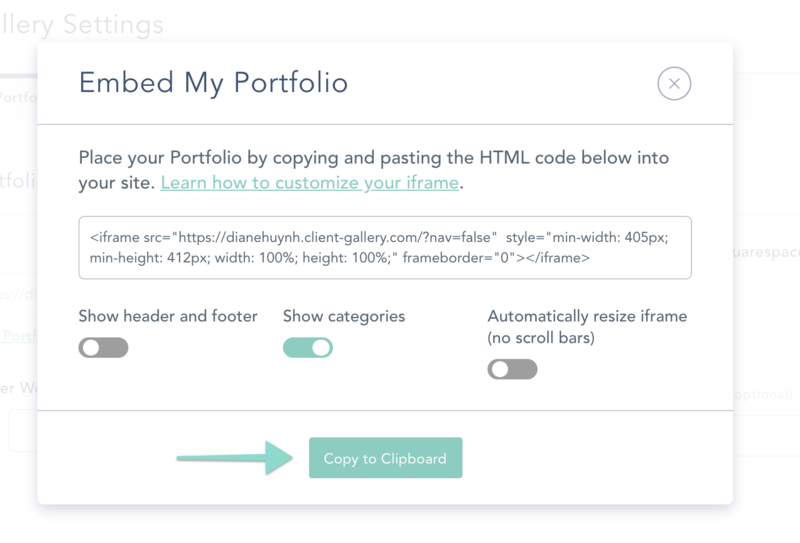 Once you are done toggling your desired iframe settings, click "Copy to Clipboard"